Fishing has always been a passion of mine since I was a young kid fishing bull heads in the tidal pools. Through time my fishing experiences evolved into summer jobs while going to the University of Victoria where I eventually received a degree in Geography and Environmental Studies. 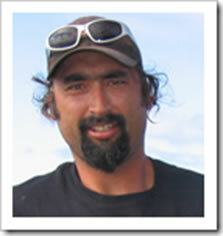 I have been in the sportfishing industry for over 20 years now. My fish guiding experience ranges up and down the British Columbia coast with several different lodges located in the Queen Charlottes, Knight Inlet and Bamfield area. My fishing resume also includes working as a guide for several winters in the tropics of Costa Rica located in Drake Bay on the pacific coast. My home is located in the small fishing village of Ucluelet, located on the westcoast of Vancouver Island, where I run my fishing charter company. WestCoast Fish Expeditions has been operating as a professional independent charter company in the Ucluelet and Barkley Sound area for over 18 years. During this time I have gained extensive knowledge of both inshore and offshore fisheries. Born and raised in Ucluelet, B.C. Kirk has always been attracted to the ocean since his childhood. 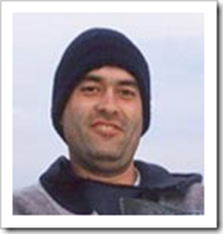 Being of Ucluelet First Nations decent, he has grown up around his family and relatives fishing both commercially and for recreation. Captain Kirks’ experiences range from working on his uncles commercial salmon troller and longliner for several years and in the sportfishing industry with the Canadian Princess Resort based in Ucluelet. 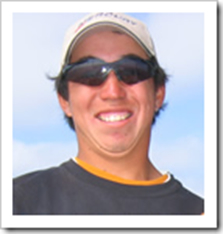 Kirk spent 5 years at the Canadian Princess Resort working as a deckhand during the summer fishing seasons, thus learning the different aspects of the sportfishing industry. The “Captain,” is on his third season with Westcoast Fish Expeditions and has quickly developed into one of the top guides in the area. He skippers a 24 foot Grady white which is fully loaded with all the bells and whistles. Growing up in Victoria as a kid, brother Marc spent many days fishing from Oak Bay to Sooke. Whether fishing for salmon, bottom fish, crabs and prawns he always seems to come home with a vast variety of seafood. His love and passion for the ocean started at a young age and has evolved into his present Coast Guard position working on a bouy & light house supply vessel. During his time with the coast guard and fish guiding jobs, Marc his gained extensive knowledge and experiences travelling the B.C. coast from Victoria to North of Prince Rupert. Before his coast guard days, he had many years of fish guiding at several different fish lodges from Peregrine Lodge in the Queen Charlotte Islands (7 years), Banksland Surveyor located in Work Channel, Salmon Seeker Queen Charlotte Islands, Aguilar House Lodge-Bamfield, Pinkerton Lodge in Barkley Sound, and finally Westcoast Fish in Ucluelet. Having brother Marc as part of the Westcoast Fish Team this 2006 season will be a tremendous asset with his vast experiences and years on the water. Thanks again for a great day fishing! We caught 4 beautiful salmon! We feasted that night on the salmon and crab from your traps! Fishful Thinking did a great job of freezing and packaging the rest of our salmon! Thanks for recommending them! I hope you continue to have successful fishing days and enjoy the rewards of crabbing! Next time up we definitely want to try for a ‘Hali’ as well! You were an awesome captain and guide and we loved Barkley, too (he was a great entertainer)! we look forward to our next visit! Ron, Donna, Myles, Mark and Carly, from Langley, B.C.